Progressive delivery is an exceptional service that our company offers to all our customers. 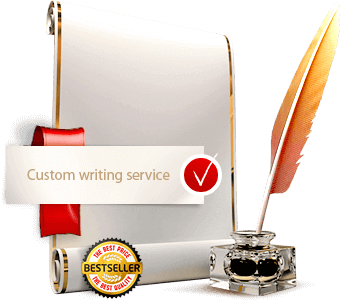 The use of this service helps our customers manage their complicated orders that comprise more than 10+ pages written in single space and 20+ pages written in double space. The process of writing each order can be followed by each customer. Please pay attention to the fact that each paper, either in parts, drafts, or chapters, is always sent to the customer for approval before the set deadline expires. Free revisions only within a 30-days period. An average order is usually revised within only 1-2 days. Only the best professionals, editors and writers work on the ordered papers. Our company provides each customer with a helpful manager, whose responsibility is to monitor the process of the order preparation and writing. Our manager also follows the customer and writer’s communication process. if a work is to be ready within 4 days – only 1 draft is sent to the customer within 50% of the order deadline. For instance, in case there are only 2 days given by the customer so that the writer completes his / her order, the draft will be prepared in 1 day. The volume of the draft will be equal to 25% of the ready work. For instance, if the paper consists of 20 pages, the draft is about 5 pages. if the urgency of the paper is 5-11 days – usually 2 drafts are provided within 25% and 50% of its deadline respectively. The volume of the drafts is 25% and 50% of the ready paper. if the urgency of the paper is more than 12 days – 3 drafts are sent by the writer. The volume of the paper will be 25%, 50% and 75% of the ready paper. Each draft is completed within 25%, 50% and 75% of the deadline of the paper. The price for the service is only +15 to the total sum of the paper ordered. * In case the customer considers that his / her paper is supposed to be completed in accordance with his / her needs or peculiarities, our team is always ready to assist. Our representatives will do their best to find the best way possible in order to deliver the paper of the highest quality. In such a situation, our company must be informed about all the requirements in details. If customers order our Summary service, they will be provided with a 1-page summary of the ready work. Only the most important points are included in the summary of the paper. The following service is recommended to our customers that are to report on the topic chosen and the findings obtained. In case the customer orders this service at our company, he /she gets a 1-pages draft. Thereare 300 words in a double-spaced work and 600 words in a single-spaced work respectively. A 1-page draft is sent after 50% of the work deadline. For instance, if the urgency of the work is 3 days, a draft is ready within 36 hours. Unlike other online writing companies, we guarantee that all papers completed by our writers will be revised, if necessary, with 48 hours upon their delivery. The service of extended revision allows us to extend the timeframe up to 14 days!